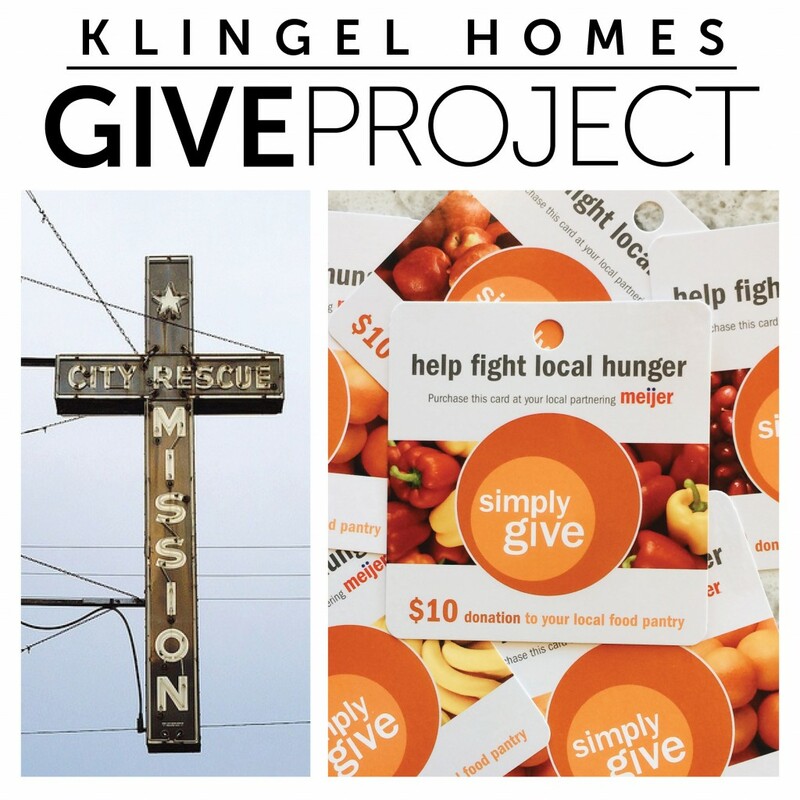 This month, for our Klingel Homes GIVE Project, we are partnering with the Muskegon Rescue Mission! Monday, November 21 and Tuesday, November 22nd, so we decided to partner with them through Meijer’s Simply Give Program! We’re so excited that Meijer partnered with them last weekend and double matched donations to the mission through the Simply Give program! The Muskegon Rescue Mission helps demonstrate and proclaim God’s love to the less fortunate and homeless people of West Michigan. They also provide food, shelter, clothing and spiritual direction all year long. Check out their website, learn more about the amazing work that they do for our community, and consider donating to this amazing ministry!